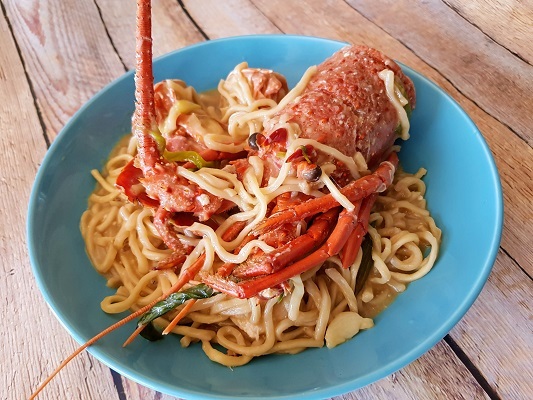 I still remember that time we ordered lobster yee mein (fresh lobster with fried wheat noodles and garlic, ginger and shallots) during lunch in Sydney’s Chinatown; it bumped our yum cha bill to just shy of $1000. We’re talking one lobster shared among the 4 of us, in case there’s any confusion. Thankfully, it was my younger sister, here on a flying visit from her overseas expat job, who paid for the meal. For the rest of us non-Harvard-educated, non-expat-salaried types, however, here’s a way to indulge in this Cantonese classic without having to sell your kidney. 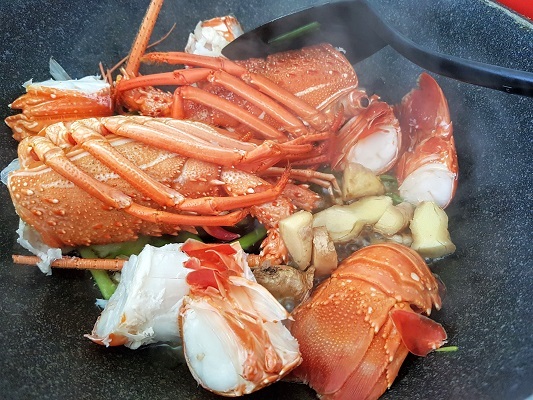 My usual hack for this dish is to use a cheaper crustacean like blue swimmer or spanner crabs; right after Christmas however, I wandered into my local Woolies and saw a pile of cooked lobsters at half price – obviously leftovers from the Christmas trade. 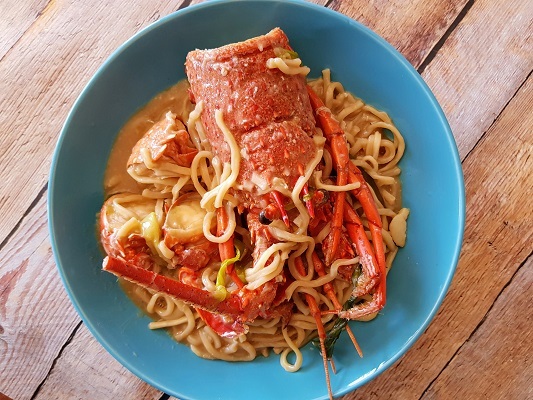 I picked up 2 of them (total $40), ate some as-is, and used the rest for lobster yee mein. Heat oil in frying pan. Add ginger and garlic and fry for 2 minutes or until aromatic and slightly browned. Add lobster pieces followed by Shaoxing wine. Add all other seasoning ingredients plus water or stock. Bring to a simmer, then add noodles. Once noodles are soft, mix tapioca flour with a Tbsp of cold water, then stir in to thicken. Adjust seasoning, remove from heat and serve. Experiences of a girl from Seremban who left everything behind for a new life in Australia.